​​G. 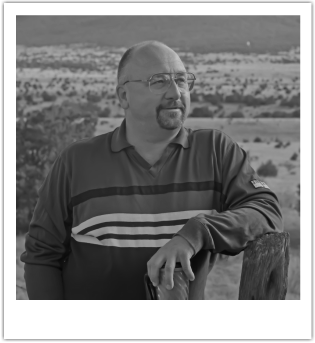 Mitchell Baker writes Series of novels in genres of contemporary fiction (The Emerson Series) and paranormal mystery (The Lethal Believers Series). He also is published with Series for biosocial science fiction (The Adaptable NeoNature Technology Series) and contemporary fiction Series (The Kinny Adventure Series) for Young Readers. The 'Adaptable NeoNature Technology' series has been incorporated into the Natural Sciences curriculum at the University of Alberta, Edmonton, Canada. Asked to guest lecture about the value of social sciences interfacing with hard science, to bring life to the Critical Think of the Natural Sciences, Baker continues this endeavor after having taught Business Law and Real Estate Law, as well as all formative grades, to include Advanced Placement high school courses. When asked, "What do you enjoy writing most?" Baker's response was "That original and interesting story yet to be brought to the page..."
Baker lives in western Canada and draws his experience to write from a diverse career, having lived in many places, and, while maintaining a broad range of interests. He sets out to write stories within the context of complex social settings and circumstances that are not only original and interesting, but a challenge to those who might enjoy a little Systems Think, Critical 'What If' Think, while being entertained.